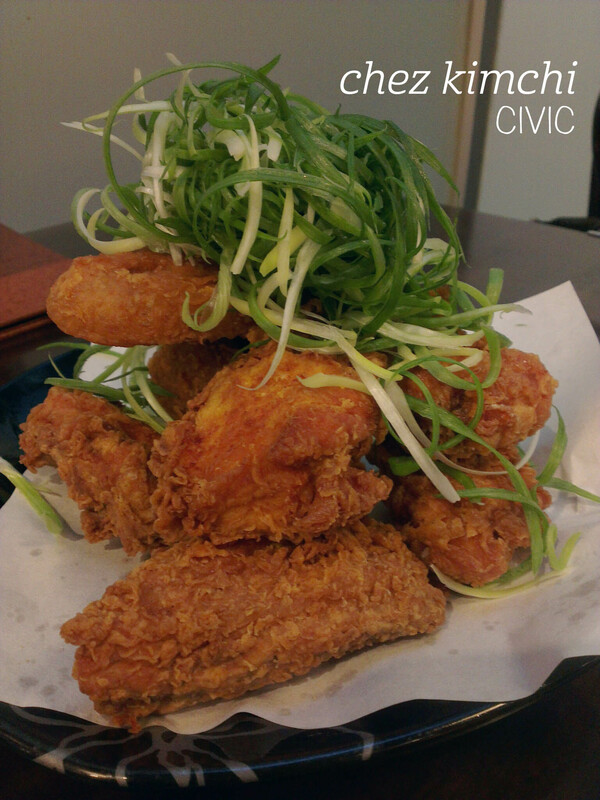 Dinner at Chez Kimchi was my first taste of Korean Fried Chicken (KFC). I’ve had Japanese-style variants, but this was my first authentic experience. 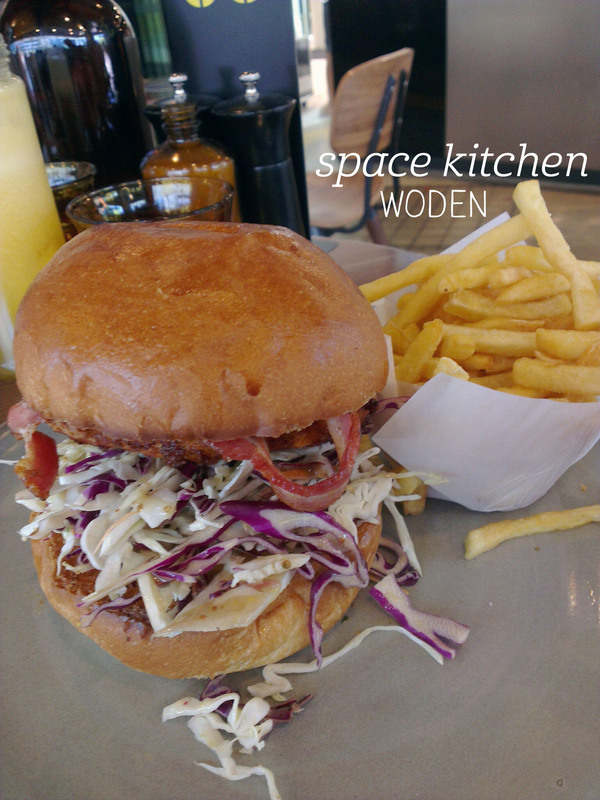 We were very excited to explore the broad-ranging menu. We ordered the kimchi pancake, the vegetable bibimbap and the “Incredible” fried chicken, and I started out with a cup of apricot tea served hot – it was beautifully sweet and warming. 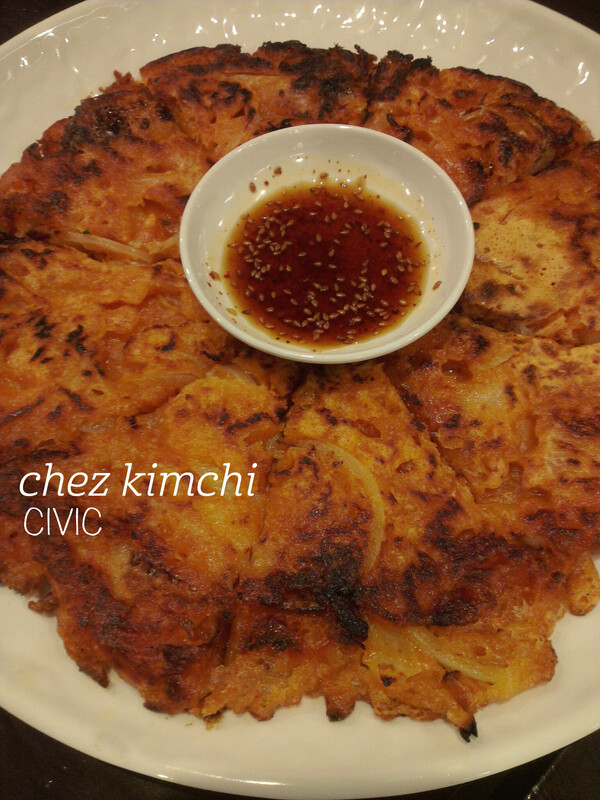 We sampled the five complementary appetiser dishes – kimchi, seaweed salad, potato in a sweet sauce, pickled cabbage and a bean sprout salad – then got stuck into the kimchi pancake, which seemed a bit more like an onion pancake with kimchi sauce in the batter. There were a couple of pieces of kimchi but it wasn’t quite as kimchi-flavoured as I expected, although the portion size was generous. 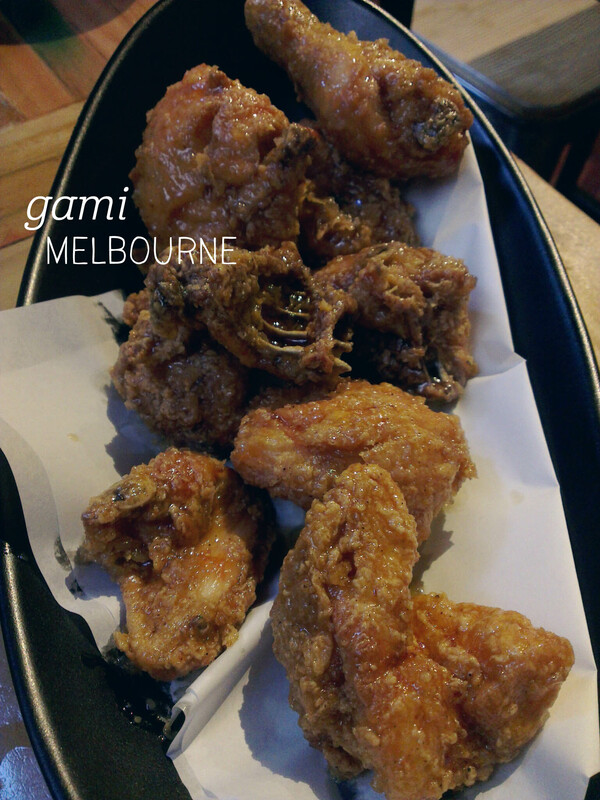 The KFC was next – coated in an unctuous, soy-ginger sauce, the wings were nicely battered and had plenty of meat on them. This was definitely the highlight of the meal. We thought we’d left the bibimbap long enough to make the rice go crunchy on the bottom but it hadn’t quite – this dish needed the red sauce served with it to stop it being dry, but the veggies included were a good mix. A new favourite for sure. 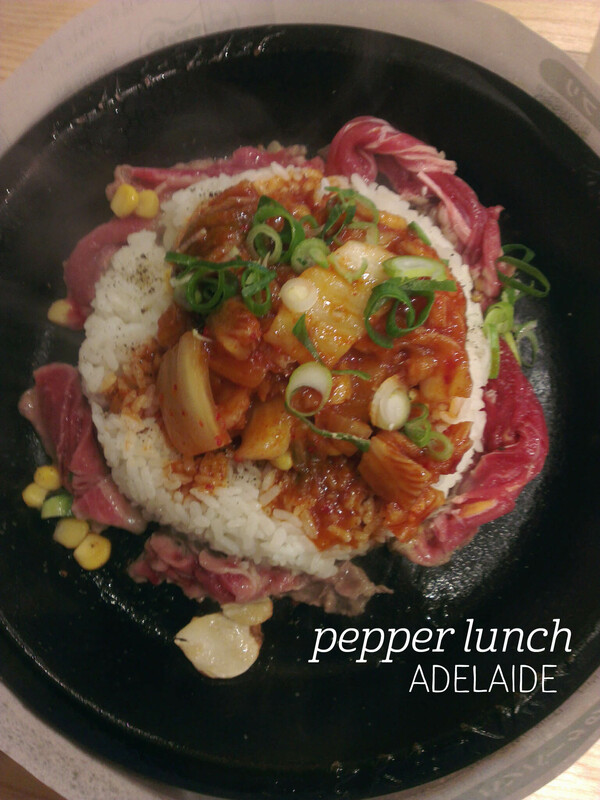 I was very excited to see that Pepper Lunch had opened in Adelaide – I’d enjoyed their food years ago in Sydney and stopped in for a quick dinner on my way back from the airport. My first impression was that the restaurant was untidy – the floors were dirty and the tables hadn’t been wiped down, but the staff were hanging around playing on their phones. I can’t fault the service though, my order was taken promptly and the food came out quickly and beautifully presented. I ordered the kimchi beef plate, which includes thin slices of raw beef, a big mound of rice with corn and lots of kimchi. The plate is sizzling hot and you cook your food at the table. The beef was thin and didn’t take long to cook – whilst it wasn’t a high quality cut, the flavour was nice and there was a good amount on the plate. The kimchi was wonderfully spicy and I loved the way the rice started crisping up at the bottom, the longer I left it without stirring. 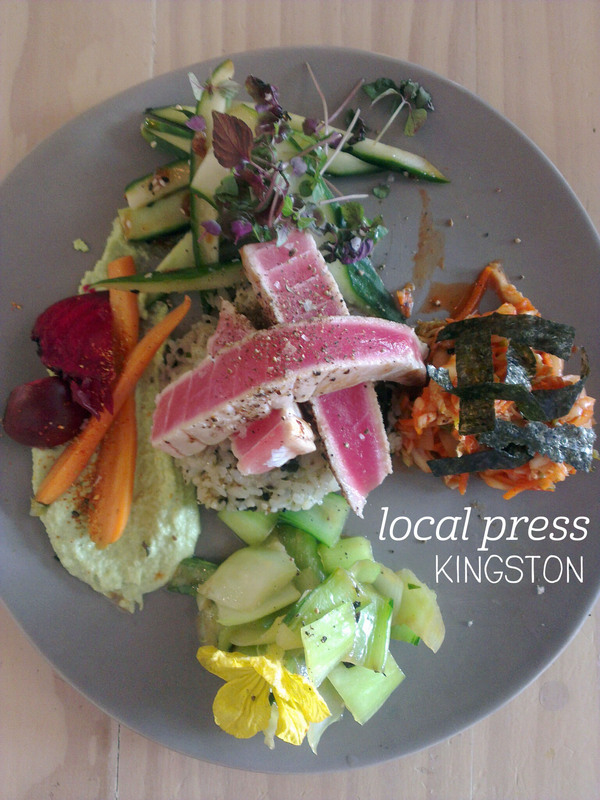 Sure, this isn’t fine dining, but if you’re after a tasty, filling, inexpensive meal, stop in and give it a try. 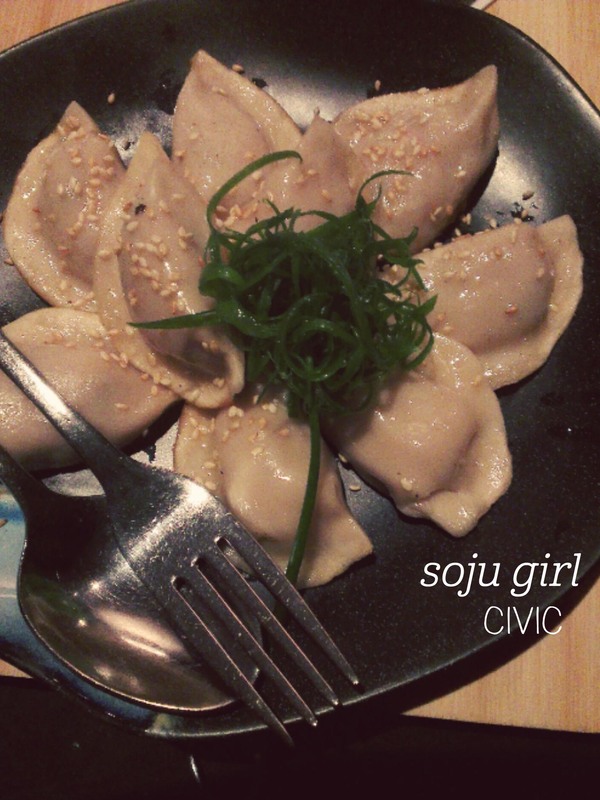 We had the banquet dinner at Soju Girl for my friend’s hen’s night, and started out with cocktails. I had The Mandarin – gin, mandarin, ginger liquer, lime and ginger beer. The flavours were subtle and well-balanced, making a smooth, tangy drink that I’ll order again. We started with the betel leaf smoked trout – a fusion san choy bao-style mouthful which was a delicate explosion of flavour and one of my favourites. The zucchini flower was surprisingly filling, packed with sticky rice, and the creaminess of the eggplant pickle dish had me going back for seconds. The handmade gyoza were perfection – just the right amount of crispiness and perfect with the dipping vinegar – and the sauce accompanying the king prawn skewers was some kind of magic. We finished with the chicken katsu, which again was quite filling, and rice, so whilst all the portions were small, we didn’t leave hungry. The staff were attentive but not intrusive, and my only criticism was that the meals came out too quickly in succession, rather than being well-paced. Despite this, the banquet had great variety and flavour – I will be back again soon!